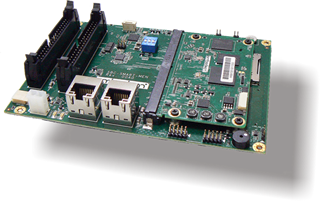 SMART series single board computers is a hybrid approach combines a SMARC COM, for the CPU engine with a baseboard for the I/O and application interface. This two-board solution provides a multitude of valuable benefits to the user: instant access to a wide range of interchangeable CPU modules, protection from processor technology obsolescence and scalability of product performance. Users can easily upgrade their system by changing the industrial standardized SMARC module or expanding their interfaces by replacing a different carrier board.